The Skate Love Festival is Barcelona’s weekend long ‘music festival on wheels’, where roller skate lovers from all across the globe can connect, celebrate and perfect their art form. Proceedings open on Friday evening with an informal meet and greet before a weekend of roller jam parties, workshops, movie screenings, dance battles, exhibitions and shows. As you would expect, most activities are aimed at roller skaters, but non-skaters are welcome to attend the Skate Love Show on Saturday and Sunday nights, where experienced skaters will share their talent and joy with the audience. Day passes can be purchased online for €21 until September 15th. BCN Roller Dance, founded in 2011, is the driving force behind the Skate Love Festival, an event that attracts the most interesting, fun, loving and impressive skaters, DJ’s, and athletes from all round the world. 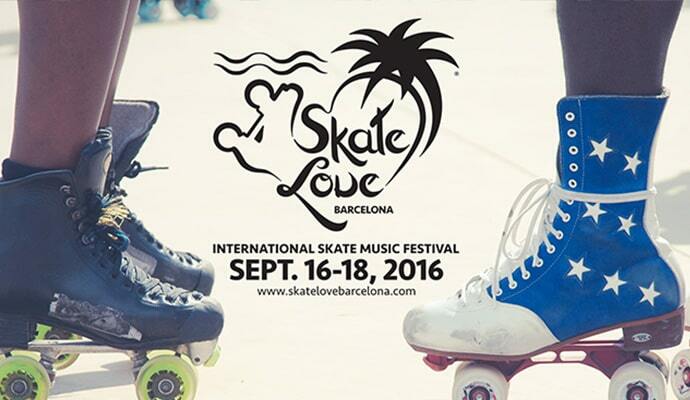 Skate Love Barcelona 2016 takes place from Friday the 16th to Sunday the 18th of September and is predominantly to be held on the Badalona beach promenade, as well as and other locations in Barcelona.